Wanda's ® Barium Cookie is a Modified Barium Swallowing Study (or VFSS) evaluation tool that is used when testing swallowing of dry textured foods. 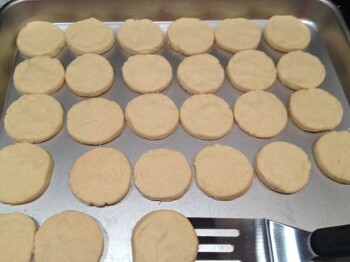 Wanda's® Barium Cookie recipe eliminates the need to apply barium paste or powder on top the dry texture because the barium sulfate is baked within the cookie. No need to actually simulate a dry texture by mixing two textures (paste and cracker/cookie- which is not a dry texture, instead, is a mixed texture) because this cookie is a dry crunchy texture. Wanda's® Barium Cookie is entirely visible during the radiographic procedure. Crumbs are visible. 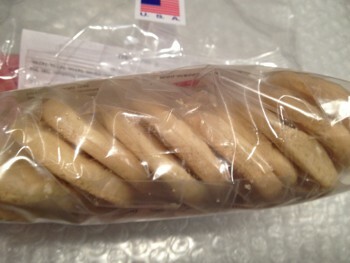 Wanda's® Barium Cookie is a good tasting buttery-vanilla cookie that is visually appealing to both children and adults. Wanda's® Barium Cookie has a variety of flavors: original recipe which is a buttery-vanilla flavor. Wanda's® Barium Cookie minimum order is one unit (made up of 3 dozen) increments which are suitable for smaller, rural clinics and hospitals. Wanda's ® Barium Cookie is a standardized evaluation tool - each cookie contains 22% BaS04 by weight.